One of the most influential men in Albany is accused of accepting millions of dollars in bribes and covering it up as legitimate income. The federal complaint against Speaker Silver accuses the Assembly leader of mail fraud and the federal crime of theft of honest services, saying he engaged in a scheme since the year 2000 to use the power and influence of his official position to obtain for himself over 6 million dollars, including $700,000 in bribes and kickbacks masked as legitimate income earned by Silver as a private lawyer. The complaint labels the actions as a “secret and corrupt scheme” saying the Speaker told the public that he worked at a law firm where private citizens hired him to represent them in personal injury lawsuits, and that none of his clients had any business before the state . Silver at one time said he represented “plain, ordinary, simple people”. The complaint charges that those representations were false- and misleading. They say he instead Silver illegally obtained millions of dollars in attorney referral fees for himself, when he connected with clients who in fact had substantial business before the state. 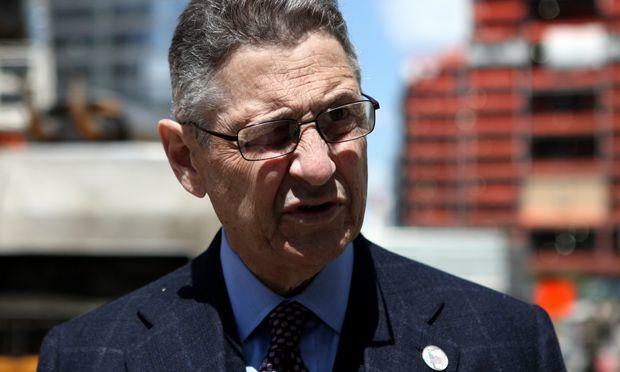 The complaint alleges that Silver also steered real estate developers to a special law firm that deals in obtaining tax breaks for the developers. The law firm is run by a previous Silver aid. The Speaker has no background in real estate tax law. Silver is also accused of secretly directing half a million dollars in state funds to a doctor who treated asbestos related cancers. That doctor, the complaint alleges, then steered those patients to Weitz and Luxenburg, a firm that pays Silver, which is involved in an asbestos class action lawsuit. Silver claimed to have referred hundreds of asbestos cases to Weitz and Luxenburg- but when investigators contacted the clients, they said they’d never spoken to Silver. According to the complaint, the charges stem from Governor Cuomo’s Moreland Act commission on public corruption, which began several investigations but was abruptly shut down by Cuomo nearly a year ago as part of a budget deal. Silver may also have violated state laws for failing to report accurately about his outside income and it’s sources.